Air circulating fan. Black prepaint cabinet. Concealed hinges. Door lock. Door open alarm. Door Opening Right Hand Hinge. Dual temperature zones. Fixed shelves 2. Flat door design. LED showcase lighting. Low vibration compressor. Premium stainless steel and glass door. Removable oak shelves 2. Straight designer handle. Temperature selection range 5-20°C. Touch sensitive control panel. UV filtered glass door. 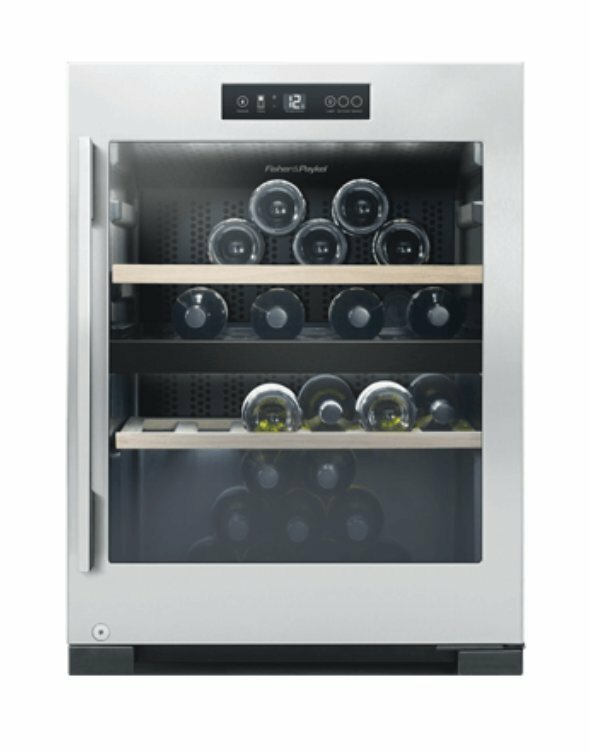 The Fisher & Paykel RF106RDWX1 Bar Fridge was added to the Refrigerators category in March 2017. The lowest price GetPrice has found for the Fisher & Paykel RF106RDWX1 Bar Fridge in Australia is $2,204.00 from Appliances Online.